Did you spend your winter inside by the fireplace, or did you try out some new activities, such as adaptive skiing? 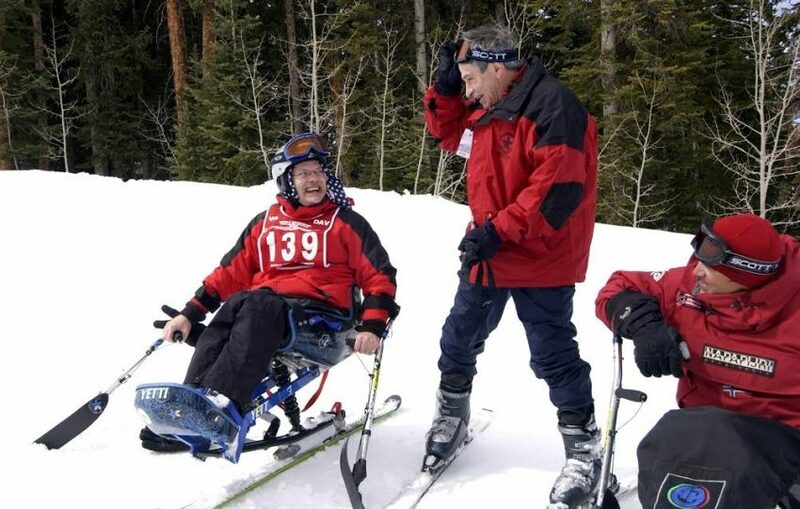 Adaptive skiing is one of the most popular adaptive winter sports. Snow and ice may make it harder to get around in your wheelchair, which means many wheelchair users stay inside more during the winter. Warm weather activities also may seem more easy to adapt. But that’s not necessarily true. And if you stay inside during the winter, you’ll never know what you are missing. 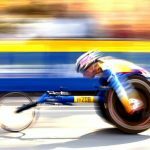 1 What Is Adaptive Skiing? 3 What Equipment Do You Need? 4 How Can I Learn To Do Adaptive Skiing? Adaptive skiing is a sport that allows people with disabilities to participate in the same type of ski events as people skiing in a traditional manner. Special equipment is used to facilitate the same skiing styles. Adaptive skiing has been around since the 1940s and was accepted as a Paralympic sport in 1992. Adaptive skiing is fun, but it also has health benefits. Adaptive skiing works on skills such as balance and coordination. If you are able to propel yourself with poles, it can also provide a cardiovascular workout. Getting out of the house and into the fresh air and sun can also improve your Vitamin D levels, social skills, and mental health. Adaptive skiing is also an activity your whole family can do together. While some adaptive sports can only be enjoyed in competition with other athletes with disabilities, skiing can be done with friends or family that use traditional equipment. And if you become very good at adaptive skiing, it offers the opportunity to become a career. Not every recreational activity can go from being “just for fun” to being a paid job. But with adaptive skiing, you can eventually work your way up to becoming a ski instructor or team coach. The type of equipment you will need depends on your physical abilities are. If you are unable to ski independently, there are a couple of different ski types available that allow a guide to ride on the back of the ski to help steer. Sit-skis typically come with two skis and poles. Sit-skis are used by people who have lower limb disabilities. They are designed for the person to sit down in the equipment and use the poles to guide themselves. The double skis provide more stability. Single skis are like sit-skis, in that you sit in the equipment. But instead of having two skis, they only have one. Single skis require a lot of balance and are for advanced skiers. Buying and maintaining adaptive ski equipment is costly. If you can rent or borrow the equipment first, to try it out, that would be best. If you enjoy adaptive skiing and decide to pursue it seriously, you can try fundraising to help raise money. 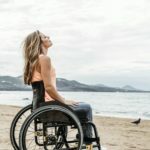 How Can I Learn To Do Adaptive Skiing? Most ski resorts are now familiar with adaptive skiing. Find one near you, and give them a call to see what they offer. 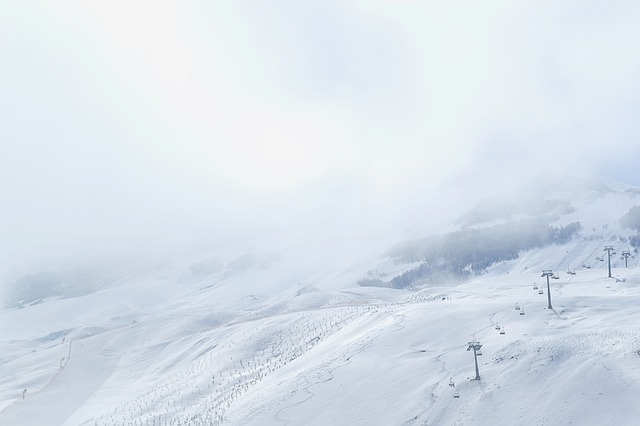 Some resorts may have ski rentals available, and some may even have lessons offered. If you get serious and want to do competitive skiing or racing, you can join a team. To find a club, program, or lessons near you, this website for adaptive skiers can help. Zermatt has a ski and snowboard school that is one of the best places to get training in adaptive skiing. And the trains and supermarkets in the surrounding area are all wheelchair accessible, which will give you a pleasant vacation experience. Other ski schools and locations can be found on this European Snowsport blog, which has a page dedicated to adaptive skiing. 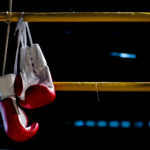 Wheelchair Boxing: Will It Be The Next Paralympic Sport?